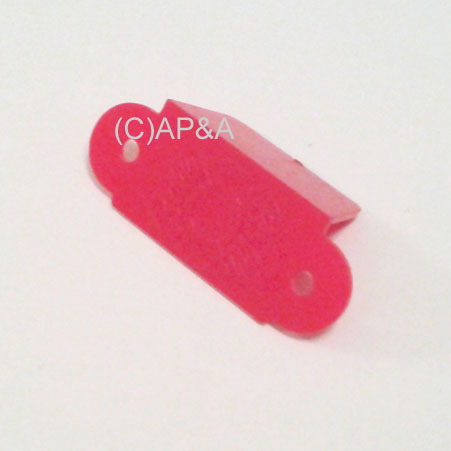 Red translucent plastic lane guide, 1-sided. 2-1/8-inch overall length, 7/8-inch width, 1-1/2-inch spacing between screw holes, center-to-center. Features raised embossed Bally logo on top. Used on some Bally electro-mechanical (EM) and early solid-state (SS) games.